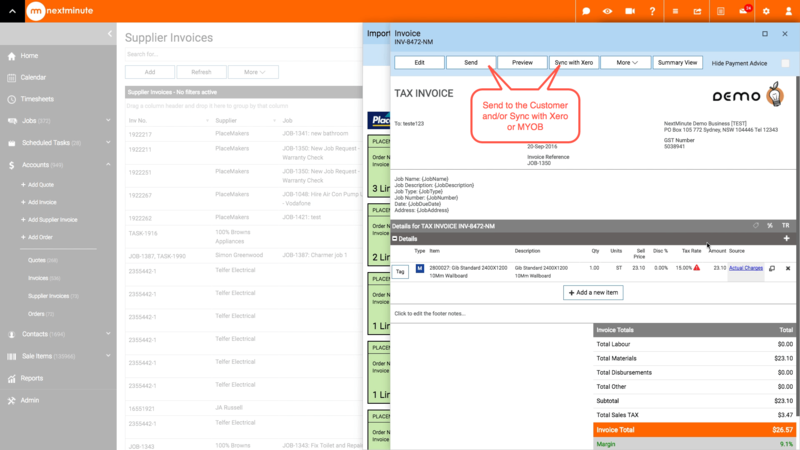 PlaceMakers Supplier invoices - Create Invoice – Welcome to the NextMinute support and feedback centre. 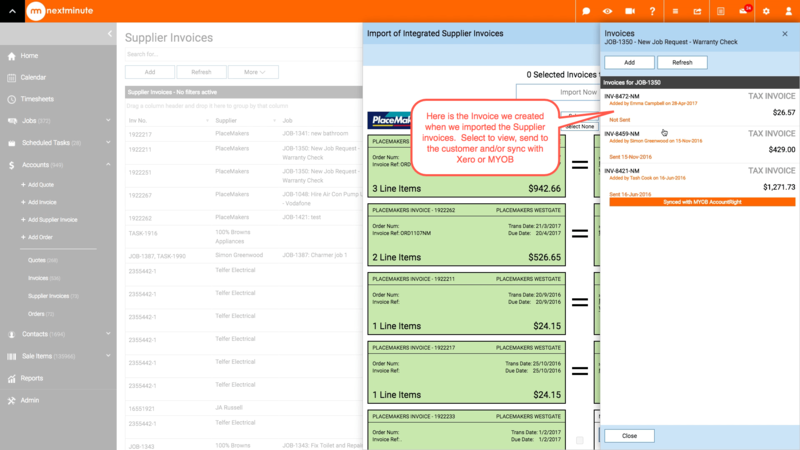 You have imported a PlaceMakers supplier invoice into NextMinute and selected to "Create invoice" from the Supplier Invoice. You will find the Invoice linked to the Job as shown below. 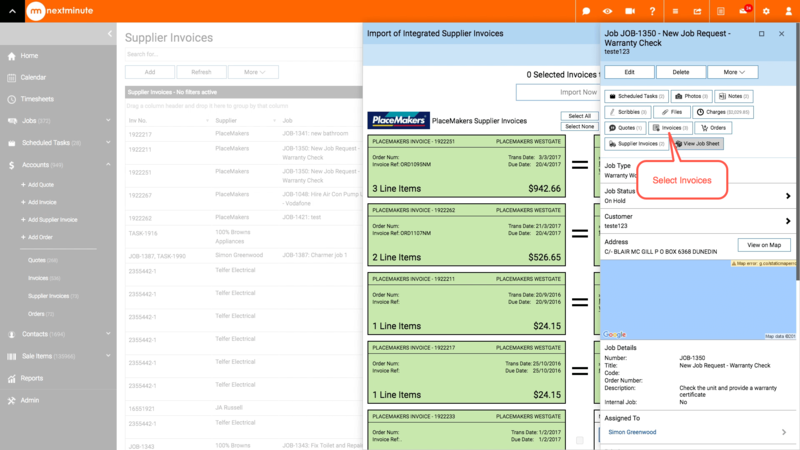 Step 2: The Invoice we created from the PlaceMakers Supplier Invoice shows in the Jobs Invoice list. Select to view.